Idaho has all the ingredients for an awesome ski experience: high-elevation peaks and runs, seemingly endless fresh powder, and millions upon millions of acres of untouched backcountry. 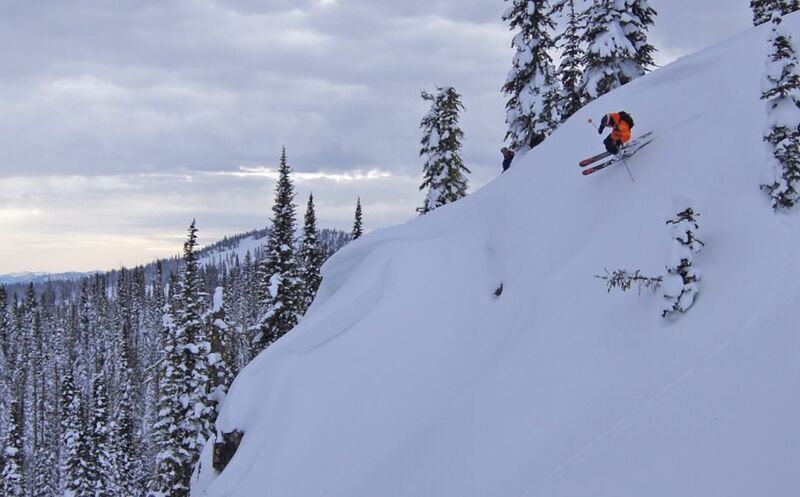 If you haven’t skied Idaho’s terrain, your bucket list needs an upgrade. Here’s what you’re missing. 1. Skinning the largest contiguous protected area of wilderness in the continental U.S. The Frank Church River of No Return Wilderness Area is best known for its summer river rafting, but the Idaho landscape doesn’t “close” in winter. If you’re up for an extreme adventure, take your skins into the backcountry and access some of the 2.3 million acres of wilderness area — the largest (and best) contiguous plot of land in the Lower 48. It’s one sure place to ski peaks that may well have never been skied before, but there’s also plenty of wildlife (elk, deer, bobcats), steamy hot springs, and miles and miles and miles of views. Pro tip: Brush up on your avalanche preparedness beforehand with one of the many guides in the area, such as Payette Powder Guides, and get out there. Where else can you ski on snow-crusted lava fields and glide through an alien landscape? Craters of the Moon National Monument and Preserve is bizarre and otherworldly all year, but the absurdity of the landscape is especially apparent in the winter when the burnt earth is blanketed in snow. The park encompasses 1,100 square miles of basaltic lava flows, spatter cone volcanoes, and charred forests. During winter months the monument maintains a Nordic ski and snowshoe loop that includes a steep descent down the Inferno Cone. Just talking about it gets you serious cred. A better description might be “The Castle,” though. This bowl is like a granite pattern of turrets and walls, and it’s full of chutes and pillow drops that will make you feel like a powder king/queen. There’s nothing like plunging into powder and resurfacing with the biggest smile. Book a full-day outing, and you’ll meet a pro guide at 7:30am (lunch and plenty of snacks included), and you’re off to experience winter at its best. Less than an hour by trail from the lodge and fully stocked with basic necessities and firewood, the Star’s Perch Yurt is surrounded by lodgepole pine forest. It sleeps eight and has a wood-fired sauna just steps away. The yurts don’t have electricity (though there is solar lighting), meaning you’ll have bliss-filled days to enjoy the outdoors, the company, and a star-studded sky. No wifi, no work emails, no distractions. The Sawtooths might just be the most famous Idaho range of the Rockies, notable because of their remarkably steep and sharp peaks reminiscent of the silhouette of a saw blade. They’re also known for their high concentration of couloirs (steep gullies on the edges of a mountain). Here, couloirs cut through the shadows of dramatic spires and pinnacles — it’s some of the best ski-mountaineering terrain you’ll find anywhere. 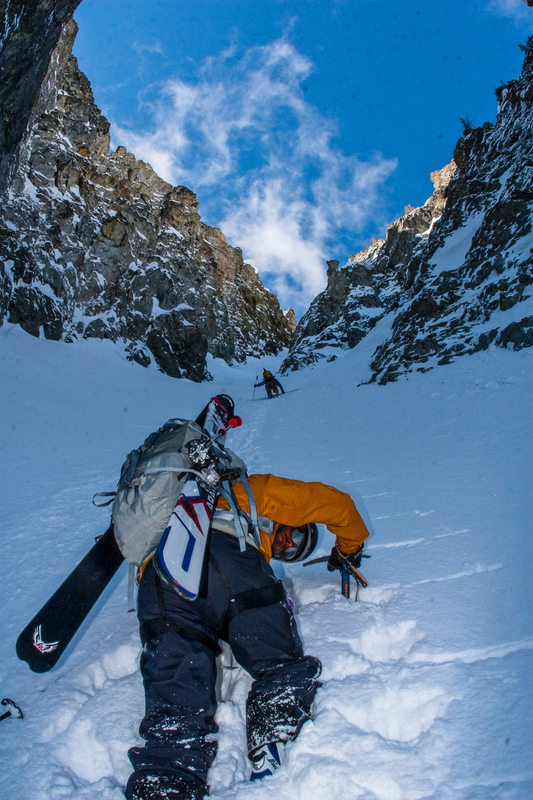 Stay in the tiny town of Stanley, and you can book a high mountain tour to hit all those powder glades, alpine bowls, and extreme couloirs (including the Sickle Couloir at Horstman Peak, one of the longest and steepest on the continent, dropping close to 1,200 feet with an average pitch around 50 degrees). The mountain coaster — Bogus is the first mountain recreation area in Idaho to have one — is made up of 4,100 feet of track that winds and twists through the forest at speeds of up to 25mph and takes you 40+ feet in the air. And when you’re killing time between rides, the heated patio is the place to be. Bogus will also keep you busy with snowshoe trails, a tubing hill, and terrain parks, along with its front and backside ski terrain that’s home to 91 named runs, 2,600+ acres, and more than 20 miles of groomed Nordic trails (and more for night skiing). Home of the world’s first chairlift, Sun Valley Resort was also the first destination ski resort in the United States — you could say that the American ski vacation technically started right here. A long-time hotspot of old Hollywood, it’s grown into a modern resort that hasn’t lost its character along the way. The lodge was built in 1936, and it still harkens back to its heyday when stars like Clark Gable, Marilyn Monroe, and Ernest Hemingway stayed and skied. Sun Valley remains a favorite celebrity getaway — just take a look at the photos of it lit up at night and try not to think of the Swiss Alps. 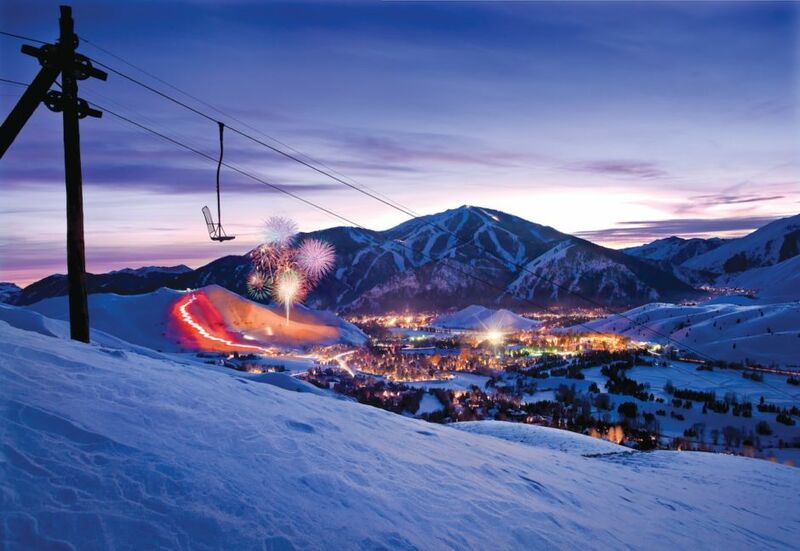 Even before you take into account the elite athlete training ground where Olympians are made, Sun Valley is one of the most impressive ski resorts on the continent. 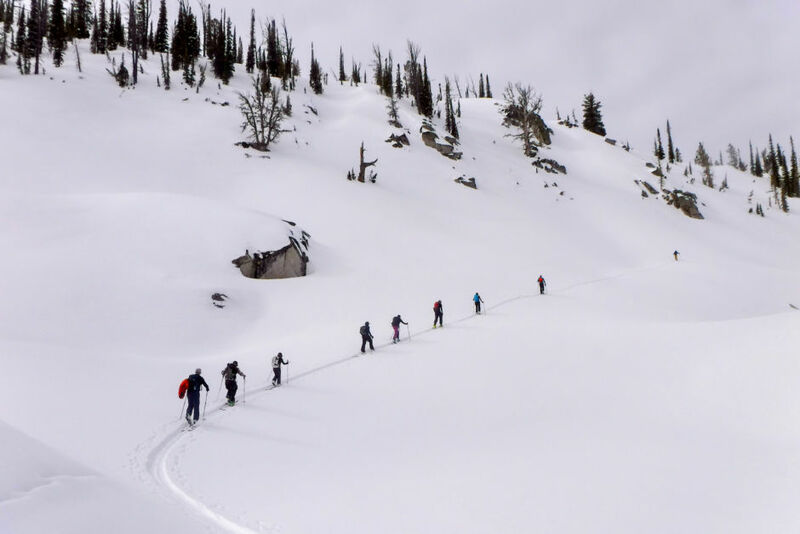 While there are other places in Idaho to heli-ski, Selkirk Powder has added this extreme adventure to its roster, allowing powder hounds to access an area that was previously untouched. This area of the American Selkirk Mountains is new terrain for most, and on a typical day, you could easily find yourself skiing 14,000 vertical feet among the thousands of acres of backcountry. On top of that vertical, the Selkirks are notoriously blessed with powder — they average more than 300 inches per season. Heli-skiing lets you get to the spots where no one else can go, without all the effort of skins and slogging up a slope. Talk about fresh tracks. Idaho has more soakable springs than anywhere else in the country, so no matter if you’re cruising groomers at Baldy or powder plunging the Smokies, there’s almost always a spring nearby (and no chlorine or foggy windows to kill the mood). 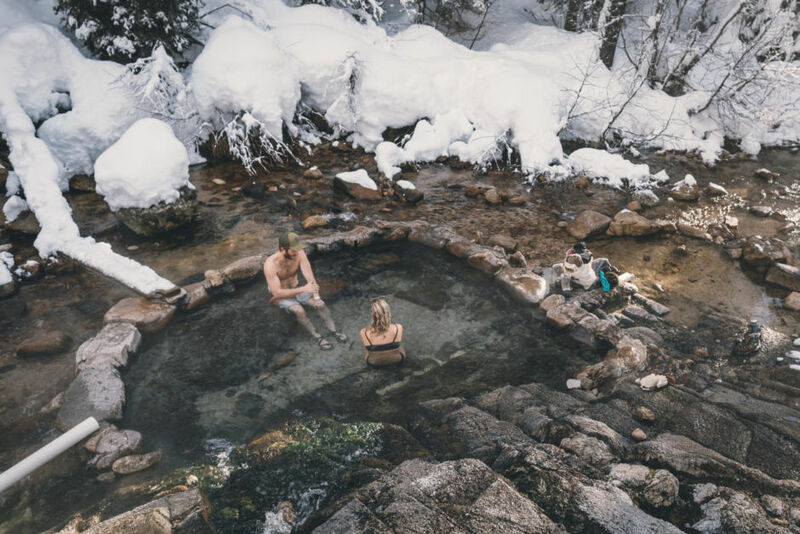 Whether it’s Gold Fork Hot Springs near Donnelly, Trail Creek Hot Springs near Cascade (pictured above), a locals’-secret spot around Sun Valley, or one of many, many others, nothing feels better on beat legs than a hot soak. Just about all of them have pretty killer views, too.